My name is Choua Lee. I am 22 years old. I was born and grew up in a small Hmong village in Xieng Khoung province. I have four brothers and two sisters. My parents are farmers. They are working very hard to support me and my brothers and sisters to have a good education. 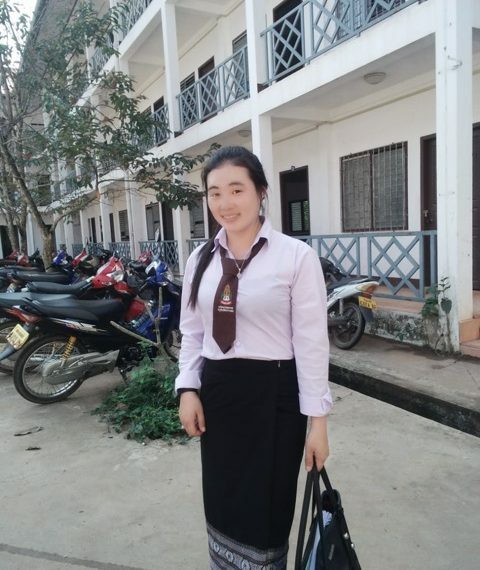 Now I am a student at Souphanouvong University in Luang Prabang. I am studying General Business Management and am now in my third year. I love studying English very much. I am studying English at LEOT school and am in the elementary class. I am very proud to study here. When I was a student at high school, I went to study English at the Lone Buffalo Centre in Phonsavanh, Xieng Khoung province. Last week I was asked to go and join them and share experiences about my life at University with the young girls there in a 2 day workshop. The Girls’ Development team workshop included about 40 students and about 25 parents. This workshop helped me to realise that girls can do anything and go to study anywhere, just the same as boys.